The Zayante Carbon is the ultimate marriage of lightness, stiffness and versatility with its rigid carbon arms, 30mm spindle and direct mount interface that our X-Spider or single DM rings mount to. The name Zayante comes from an epic redwood-covered road climb here in Santa Cruz and now riders have a factory installed power meter option. The Zayante Carbon installs with our M30 BSA, BB86, 386EVO, BB30, PF30, T47, BBRight or older Specialized OSBB road frame. 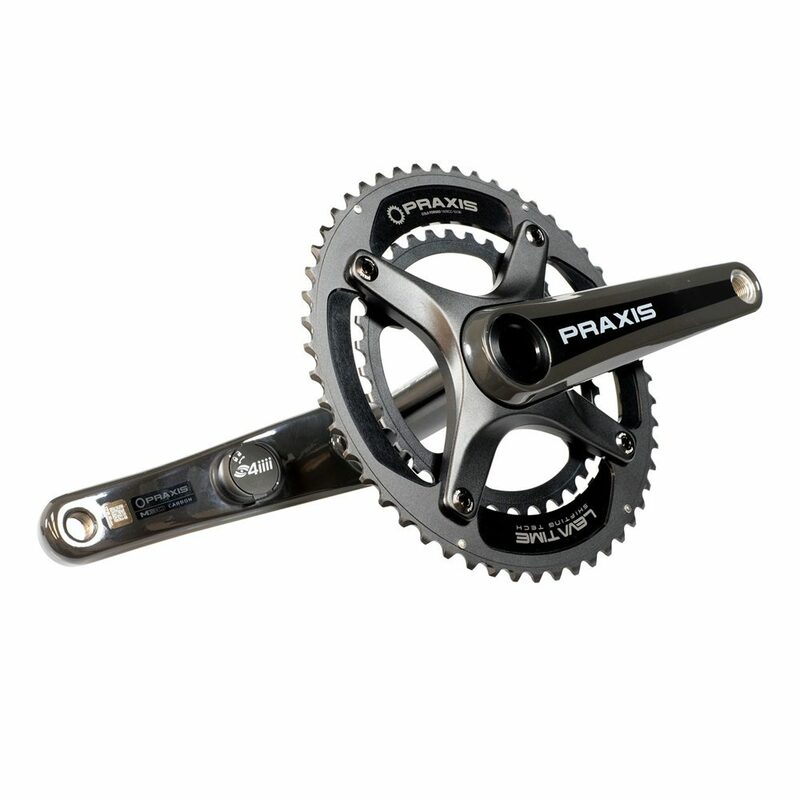 The Zayante Carbon M30 road crank uses our Praxis M30 spindle/BB. M30 bottom bracket versions offered : BSA, BB86/90/92, BB30, PF30, 386EVO, T47, and BBRight.